Harness Your Mental Strength is a free REALTOR® Safety webinar from the National Association of REALTORS®. Hear from Danielle Martin, Founder and Ambassador of True Boundaries, as she promotes personal protection, confidence building, and empowerment. Danielle Martin is a motivational speaker, expert in personal protection, World Champion, Pan American, and National Champion in Jiu Jitsu, former pro-surfer, and television personality who is known for her unique and impressive combination of traits and talents that make her an authoritative voice representing the interests of women, men, and children of all ages. Danielle’s passion is to cultivate a message of personal protection “from the inside out.” She emphasizes the importance of situational awareness, being empowered by knowing your own strengths and limitations, and committing to confidence. Are You & Your Data an Easy Target? Safety expert Andrew Wooten provides tips on how to keep you and your data safe while at the office. Topics covered in this free NAR webinar include workplace personal safety, how to keep your office from becoming exposed to risk, and how to create an office plan with safeguards. View the webinar through NAR's Learning Library. Once you register, you can view and download the archived webinar and slides. The second in the series of NAR's REALTOR® Safety Webinars led by industry expert Andrew Wooten, "Identity Theft: Protecting You and Your Clients," offered several suggestions and precautions you should take to keep your personal information and property secure, and what you should do if you are a victim of identity theft. The session also provides great information to can share with your clients, including brief instructions on how to keep your clients' information protected. In this session, safety expert Andrew Wooten, provides social media and cybersafety safety tips. Learn how today's criminals are using your social media information for illegal activities, and discover how you could be tracked through geotags. There are many risky situations real estate professionals put themselves in every day as part of their on-the-job duties. Among those are hosting open houses, going on listing appointments and visiting vacant properties. But there are certain steps and procedures to follow to decrease the chances of bad things happening to you while performing these necessary components of your job. This free NAR webinar, presented by safety expert Tracy Hawkins, provides strategies and contingency plans to maximize safety while showing properties, hosting open houses, or evaluating REO, foreclosures, and distressed properties. Safety expert Andrew Wooten presents a one-hour webinar, "Open House and Listing Appointment Safety," highlighting what to do during an open house and listing appointment to maximize your safety and the safety of your clients. Safety at Open Houses, led by industry expert Andrew Wooten, kicked off REALTOR® Safety Week and offered several safety tips and precautions you should take when hosting an open house, including warning signs you should pay attention to, 'what to do if' pointers and several easy-to-implement steps to keep you safe. View or download an archived recording of this safety webinar via WebEx. This 30-minute session, "Top 10 Ways to Keep You & Your Clients Safe at Open Houses," offers the best techniques to increase the safety of REALTORS®, their clients, and their clients' property during an open house. Download an archived recording of this webinar via REALTOR® University. 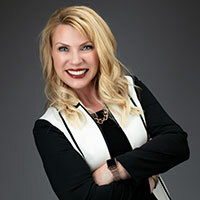 Cheryl Knowlton has been a REALTOR® since 2007, and is a passionate, high-energy national real estate speaker and 19-year veteran of the real estate and mortgage industry. An enthusiast of education, she holds 14 NAR designations and certifications. She is also the proud holder of the Distinguished Real Estate Instructor Designation (DREI), held by fewer than 100 individuals in the United States. Cheryl enjoys speaking at state and local real estate conventions and making friends in the real estate industry from all over the country. She is an instructor of NAR’s Real Estate Safety Matters course, and is deeply invested in real estate agents’ safety and success. Being safe starts at home, and by now we're familiar with most of the usual safety measures homeowners take — deadbolts, window locks, even basic security systems. But, in this brave new world of technology, what about smart home devices? What do you, as REALTORS®, need to know about these devices to best inform and protect your clients? What do you need to know for yourself to ensure your own safety? You may learn some things that open your eyes, and you'll definitely walk away with knowledge you can start using immediately. Don't miss safety expert, Andrew Wooten as he presents a webinar, "Holiday Season Safety Tips," highlighting practical tips and techniques to help you, your members, and their clients stay safe during the busy holiday season. This free NAR REALTOR® Safety Webinar, presented by Sergeant Preston Taylor, provides strategies on how to make it harder for these types of people to obtain personal information about you, and how to try to avoid such individuals now and in the future. This free NAR REALTOR® Safety webinar discusses personal safety as it relates to work, home, and travel. Even though you cannot eliminate all possibility of becoming a victim, there are steps you can take to reduce the odds. Are you putting yourself in danger by being too nice for your own good? Do you have a safety plan in place in case you ever feel unsafe during a property showing or open house? Sign up for this free safety webinar from the National Association of REALTORS® and learn from Paula Monthofer, Owner of Focus School of Real Estate and the 2017 President of Arizona REALTORS®, as she shares tips and strategies to keep you safe while being professional and profitable. Paula Monthofer brings every subject to life by mixing passion, humor, and her experience as an active REALTOR® and business leader in a fun and relatable way. Her list of awards, achievements, and credentials in the real estate industry is long and distinguished. Paula was instrumental in bringing forth the idea of ASAP - Agent Safety Alert Program, a text-based alert system for Arizona REALTORS® that notifies members that an incident has occurred that may pose a threat to the safety and well-being of other REALTORS® in the area. She has been a REALTOR® since 2003, is the Owner of Focus School of Real Estate and is the 2017 President of Arizona REALTORS®. As a REALTOR®, it’s important to develop and maintain a personal safety protocol for your business. In this free safety webinar from NAR, you’ll learn to look at safety from the perspective of a law enforcement professional. Adrian Manzanares has more than 20 years of experience as an officer and criminal investigator. Now, he’s a real estate broker and he’ll share his years of knowledge with you so you can apply simple safety strategies into your business that will help you stay alert and safe while on the job. Safety expert, Andrew Wooten, leads you through tips you can use for yourself on the job and ideas to share with clients on how to avoid common summertime crimes, reduce exposure, and increase your safety and the safety of your clients. How do REALTORS® walk the line of prospecting and self-preservation? Register for this free safety webinar from the National Association of REALTORS® to learn from Andy Tolbert, Founder, SaferAgent, as she shares simple steps you can implement right away to minimize risk in your day-to-day business interactions. Andrea “Andy” Tolbert has been in the real estate and mortgage industry since 1995, a REALTOR® since 1998, and a partner in a real estate brokerage that focused on sales and property management. As the Founder of SaferAgent, she and her husband, Tim, train real estate agents across Florida on how to protect themselves and their clients in a way that they'll immediately "get" and be able to implement the very same day. Are you conducting your business in a way that keeps you safe? Sign up for this free safety webinar from the National Association of REALTORS® to learn from Tamara Suminski, Broker-Owner, Beach Real Estate Group and NAR REALTOR® Safety Course Instructor, as she explains how to mitigate risks by building better business relationships, and the importance of following safety protocols. Tamara Suminski is the Broker-Owner of Beach Real Estate Group in Manhattan Beach, CA, is an industry expert, sought-after speaker, and instructor of NAR’s Safety Matters Course. She was the 2014 President of South Bay Association of REALTORS®, earned the 2010 REALTOR® of the Year Award, and currently serves on several committees for both the California and National Association of REALTORS®. Tamara is dedicated to improving the real estate experience through continuous innovation and the highest standards of service. She is passionate about REALTOR® safety, and is enthusiastic about sharing best practices with fellow REALTORS®. The third in the series of NAR's REALTOR® Safety Webinars was led by industry expert, Andrew Wooten, and focused on first meetings. Wooten offers several suggestions to help establish good safety practices when meeting new clients. Attendees learned what to do, how to effectively check backgrounds, what danger signs to look for, and more. During this free NAR REALTOR® Safety webinar, Sergeant Preston Taylor discussed valuable advice and steps to share with your clients to help protect them against crime.